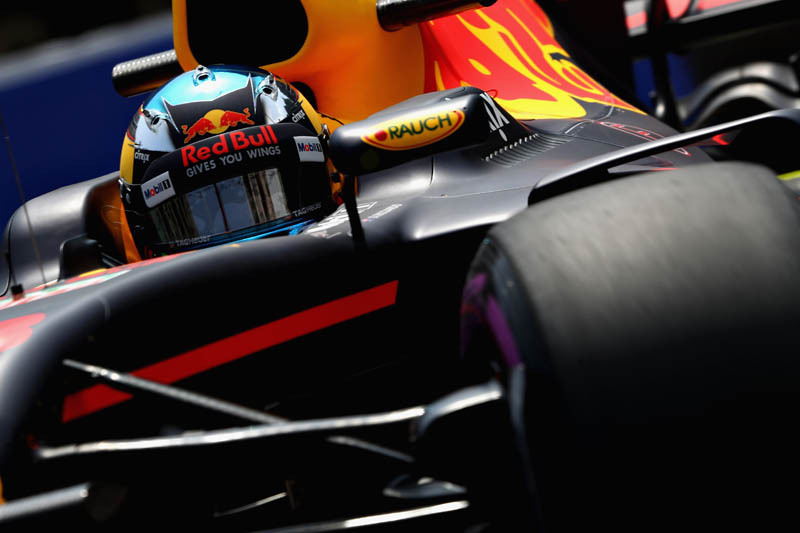 It was clear, certainly on Friday in Hungary, when Daniel Ricciardo topped the timesheets in both sessions, that the raft of updates to the RBR13 were paying off, even if Max Verstappen was to put a damper on things on the Sunday afternoon. And while the progress in Hungary, continues the momentum the Austrian team has enjoyed in Austria and Silverstone, team boss Christian Horner believes that the biggest obstacle to serious progress whereby Red Bull might take on its two rivals is the lack of a decent Q3 engine mode. "The car is getting stronger and stronger in race conditions," he said, according to ESPN, "and again was a very competitive grand prix for us in Hungary. "If we can just find that little bit more performance," he added. "You saw in qualifying that Max was second in Q1 and Q2, but you get to the latter part of qualifying and we just need that little bit extra to go with our major competitors." Unfortunately, Renault has made clear that it will not be introducing any significant upgrades this year, much to the (continued) frustration of Horner and his team. Looking ahead to Spa, a circuit, like Monza that follows, which is very much engine-centric, he said: "Hopefully we can be reasonable there. In Austria, we were reasonably competitive, particularly on Sunday. "On Saturday we are going to struggle. I can imagine us being fifth and sixth on the grid on Saturday and quicker than that on Sunday. The thing I can say about Spa is that you have the ability to overtake there." "@Mad Matt....Horner has to blame someone. Can't go to Mateschitz and say it's my fault. When you look at how far up the grid Hulkenberg has been putting the Renault works team in qualifying you have to question all the Red Bull gripes about engine performance especially in Q3." "I thought Renault said that there would be no new spec release of the engine but that from now on it's incremental changes with improvements at each track. As far as I can see all of the engine manufacturers are introducing small improvements throughout the year with new settings/mappings etc. Red Bull do like to go on about the Renault engine being so terrible but I just checked the qualifying speed trap from Canada and Max was second.... Yes I know that there may have been some aero trade-offs to get that speed but I don't think things are as bad as they like to make out."